James MacGregor Burns’ quote resonates with most of our experiences. We see leadership occurring all around us, but rarely take time to reflect in a systematic way on what makes this leadership helpful or unhelpful—effective or ineffective. Further complicating our observations, at times we see people leading well who have no formal positions of leadership within our organizations, and at other times we see people in positions of leadership who really are not providing the necessary leadership direction for our organizations as we move into the future. And so we come back to Burns’ comments: Leadership is one of the most observed and least understood phenomena on earth. But must it be this way? Is leadership simply a mysterious reality? Is it something that we simply know when it is going well or poorly, but will never really understand what makes it work? Or might we be able to provide some basic descriptions of the form and shape of good, helpful, and effective leadership? Might we be able to get at some minimum factors that characterize both what helpful leaders and leadership look like? Part of my vocational calling is providing thoughtful responses to such questions. I believe leadership can be described and studied. I believe it can be learned. Not every person is wired to be a capital “L” Leader. However, just about everyone embedded in an organization, group, or family can grow in and learn how to positively influence and guide the people around them. This is the heart behind why I’ve started blogging at purposeinleadership.com. Although I’ve been observing leaders in action most of my life, I’ve spent the last 15 years in focused study on the topic through various degree programs, organizational roles, research agendas, and teaching opportunities. I want to start sharing some of these lessons learned with a wider audience. …that leadership is vital in working toward human flourishing in organizations and societies. Although I don’t believe that everything rises or falls on leadership, I do believe that the pursuit of effective and healthy models of leadership is a first-order priority in our day. Thanks for joining me on this journey toward good, helpful, and effective leadership. Our organizations and the people we serve as leaders deserve our very best! Perhaps writing this post is more for me than anyone else (helping to crystalize my reasons), but I hope these reasons will also be helpful for others. Here’s why I’ve gone down this pathway for further study in leadership and business administration. First, as someone already teaching in a related field of leadership studies applied to ministry, the MBA experience is helping to sharpen my engagement with the field of organizational leadership. Based on the StrengthsFinder instrument, one of my top themes is “Learner.” As a Learner, further engagement with leadership and related studies beyond the PhD helps to keep me on the learning edge in my field of study. Rather than being bored with covering areas I’ve already engaged both as a student and professor, I find it quite energizing to have a context for formalized and ongoing learning in this area. But this learning is not just about me. It’s my conviction that a commitment to ongoing learning helps keep me fresh and provides my students with best-practice insights on how to lead diverse organizations from a ministry perspective (churches, non-profits, mission agencies, and beyond). Most of these organizations need to clearly think through how people are led, teams are organized, staff members are resourced, and budgets planned. Growing in my understanding in these areas helps me better equip students as they move into diverse ministry leadership positions. Second, during my 15 years of working with Bethel Seminary I’ve often had both classroom and administrative responsibilities. I’ve had the privilege of serving as our associate academic dean previously and now serve as the director both for our Doctor of Ministry program as well as our Work with Purpose initiative focused on faith-work integration. Through all of these administrative roles, I find that I not only need to grow as a leadership scholar, but also as a leadership practitioner in administrative roles. The environment of higher education is changing. Insight around leadership and business administration practice is becoming increasingly important. 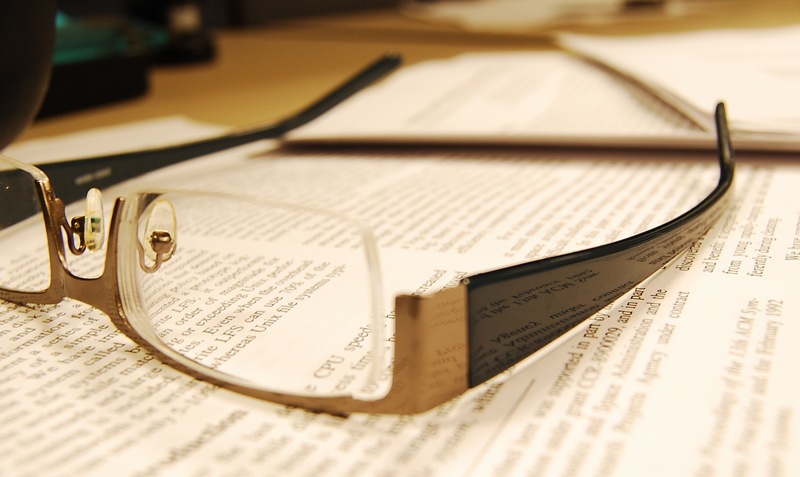 While classes focused on finance, accounting, and economics in my MBA program may not immediately relate to what I teach in seminary leadership classes, they do immediately relate in vital ways to what I do as an academic administrator. The economic realities in higher education have changed since the Great Recession began. Administrators in higher education no longer have the luxury of delegating or outsourcing important financial decisions and processes. Educational leaders need to grow in general business administration skills to lead educational institutions in this new season. I’m grateful that the MBA is helping me grow in the business administration dimensions of educational leadership. Finally, this journey is helping me grow as a Kingdom citizen. As a Christian, I’m persuaded that all of life matters to God. God not only cares about those preparing for traditional ministry pathways (e.g., pastors and missionaries), God also cares about Christians serving as ministers in all areas of life. God cares about teachers, lawyers, doctors, entrepreneurs, builders, mechanics, and the list goes on. Not only does God care about the people, He also cares about the fields and practices. He cares about law. He cares about education. He cares about health. He cares about economies. God does not hold to the dualism many of us do. God does not see a great division between “sacred” and “secular” professions. God reigns over all dimensions of our lives, and cares about His people serving as His ambassadors through vocational stewardship. We are called to live God-centered and “doxological” (worshipful) ways in all dimensions of our lives. We are called to live this way whether we are stay-at-home parents, professionals, laborers, students, or any other category of vocational calling. We are called to be stewards of our vocations before God and the world in which He has placed us. The MBA process is helping me develop a broader appreciation for God’s work in this world through His people. It is helping me see how serving well in our diverse vocational pathways contributes to the flourishing of God’s people and God’s world. 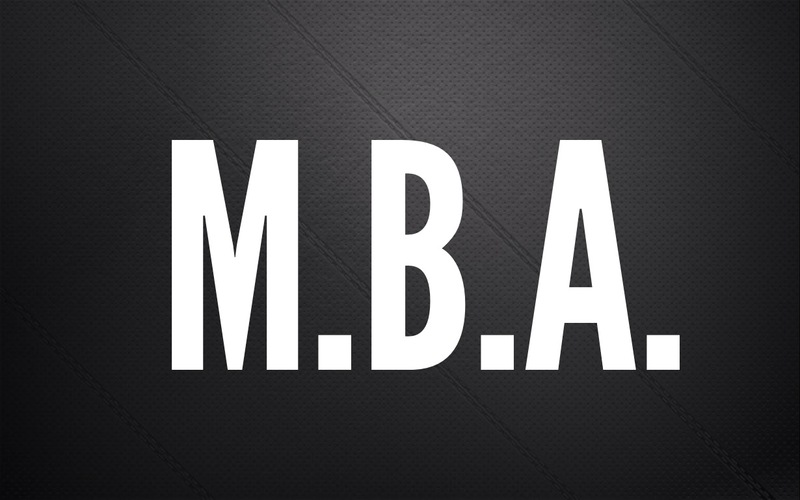 The MBA process is helping me become a better teacher, a better leader-administrator, and a better citizen of God’s world.